Seasonal Milk production in Australia, July 2018 – January 2019, was -5.8% than last year. January 2019 was -11% compared to January 2018. 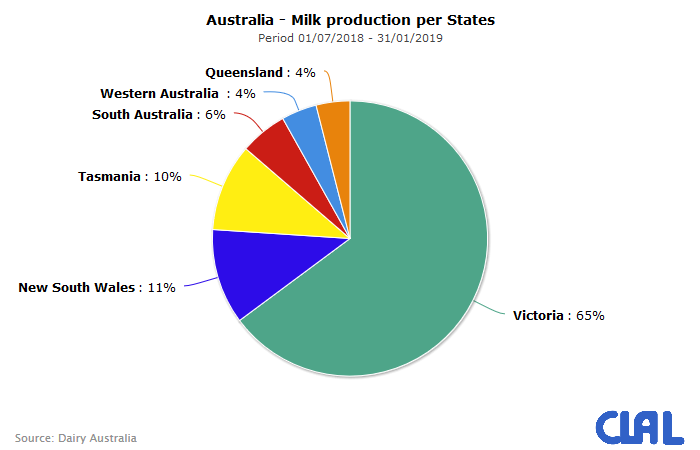 In the 2018-19 season the States most affected by the lowest production are Victoria, New South Wales and Queensland, which together account for 80% of the milk produced. In New Zealand the year started dryer than desiderid for dairy producers, but the recent rains have turned the color of the pastures from brown to green. There is adequate feed on most dairy farms. Many dairy producers have already begun the later season transition from two milking’s a day to one milking and some older cows with lower production have been culled out of herds. 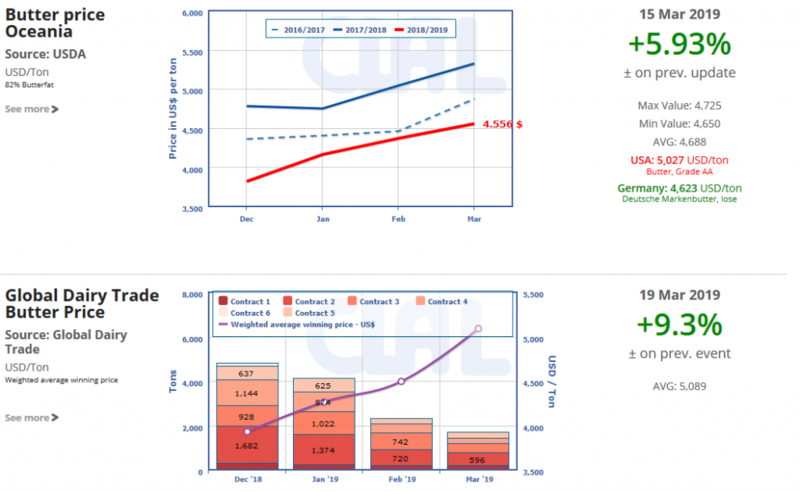 With the current milk production season winding down, Butter, Cheese, SMP and WMP output is moving lower and average dairy prices strengthened. The interest of Buyers is strong for Butter, also considering the advent of Lent. Also Buyers of Cheddar and WMP are motivated to move forward and close deals.